This mini speaker has much to offer. 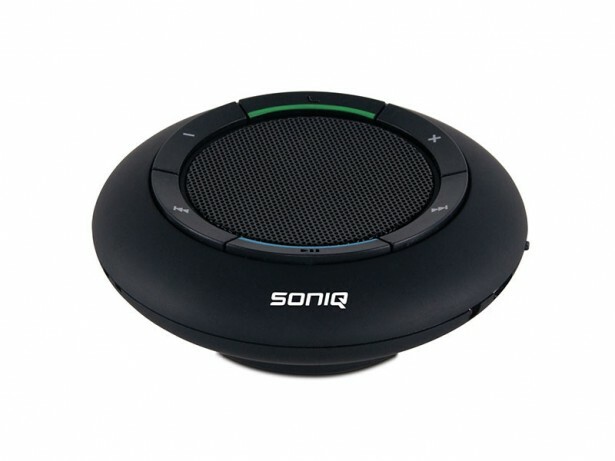 It has built in subwoofer for great sound quality and built in microphone for hands free phone calls. A compact and portable audio gem.